Jane Eyre is positively a work of imagination although reality provided Charlotte Bronte with plentiful raw materials. The author expresses her messages, especially, to how a woman should act in her society, through Jane Eyre, the heroin. This paper makes an attempt to trace Jane's acts through her speeches from which her character can be drawn. Searle's theory of speech act is used in the analysis. Five kinds of illocutionary act proposed by Searle, representatives, directives, commissives, expressives, and declarations, appear in Jane's speeches to Mr. Rochester, her master, with representatives as the most frequent acts. Jane's speeches reflect her honesty combined with upright intellectuality, sympathy, and generosity, patience, excellently furnished with a strong mental power, and desire to keep self-respect as well as to maintain her independence. Jane's speeches are not typical of women's speeches as those mentioned by Holmes, who analyzed the women's talk in work places (Holmes 2000). Key words: Jane Eyre, speech act. 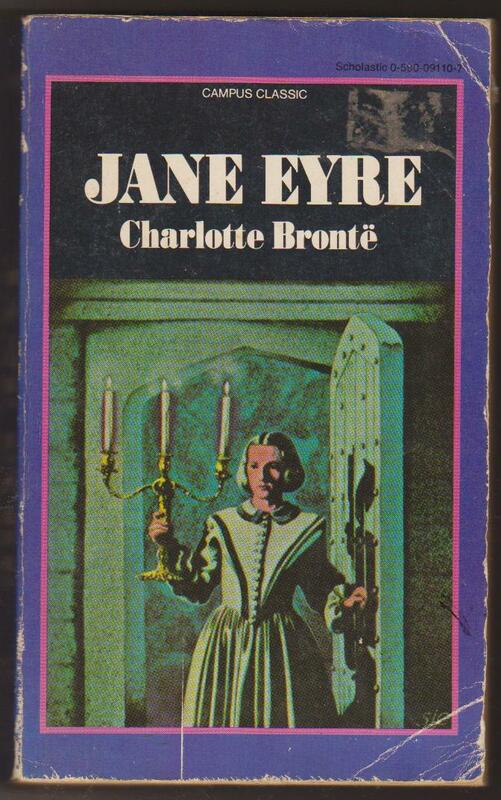 Jane Eyre is one of Charlotte Bronte's novels. Bronte drew extensively on her own experience in the novel. Like Jane, she was motherless; her mother died when she was five. Similar to Jane, she, at the age of five, was sent to a charity school run by an evangelical minister. Helen Burn is a portrait of Maria Bronte, Charlott's oldest sister and surrogate mother, who died of tuberculosis in February 1825 after being tormented at school as much as Helen is tormented. Similar to Jane, Charlotte taught in the school and subsequently took a job as a governess. The same as Jane, she was to fall in love with her employer, a married man. Bherta Mason, a mad character in her novel, is modeled from her brother, Branwell, an alcoholic and opium addict, whose condition prevented Bronte from receiving visitors. The novel also contains stalk of laughter to religious practices and beliefs and suggest that even sincere religious conviction is extreme and, even, unproductive. The practice in Christianity where married people are never allowed to make a separation, no matter inextricable the condition of the marriage is, is criticized by displaying Rochester's depression in sorrow which remains unresolved. In the novel, too, St. John's character as a clergyman is not respected as it is frequently done by most people in real life. This is reflected in Jane's judgment of him (Bronte, 1991:272).